Are you ready for some royal treatment? Let FiFi Nail Salon treat you right! Our salon offers professional manicures and pedicures for enhancing your beauty to the New York, Manhattan area. Visit us for gels, acrylics and silk nails. Not only do we offer a variety of artificial nail services, we also specialize in the manicuring of natural nails. In addition, we offer mobile massage and waxing services for anyone, including and best for pregnant woman at home or the hospital. Treat your employees at your office or cater any size party in our shop! No limitations apply. Fifi Nail Salon is your nail salon and massage services. We offer a variety of nail services, including manicures and pedicures. We also offer waxing services. We are conveniently located in New York, New York. We specialize in total hand and toenail treatments from manicures to pedicures and applying the latest in nail art design. Here is a list of our services and treatments that will rejuvenate as well as make your nails look chic and stylish! Permanent French Manicure: New, natural looking manicure technique remains flawless for up to 2 weeks. Minx Nails: Chemical-less nail polish alternative allows design or color to never peel, fade, chip or crack. Nail Art: Make that appearance a special one with a elegance design airbrushing to freehand painted acrylics. Acrylic Nails: These are toughest nails on the market for the everyday chores and tasks while keeping your hands beautiful. 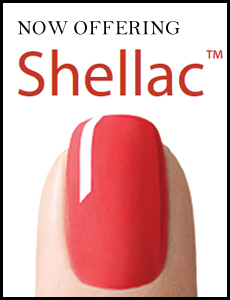 Gel Nails: Are an extremely natural-looking enhancement: thin, clear, flexible, non-yellowing, nonporous, resist lifting. Nail Conditioning: Condition and strengthen weak and brittle nails leaving your nails strong while keeping that elegant look. Silk Nails: Make of fibers for a better fit. Nail Treatments: All servicing for your nails. nail salon offering nail, massage and waxing services.